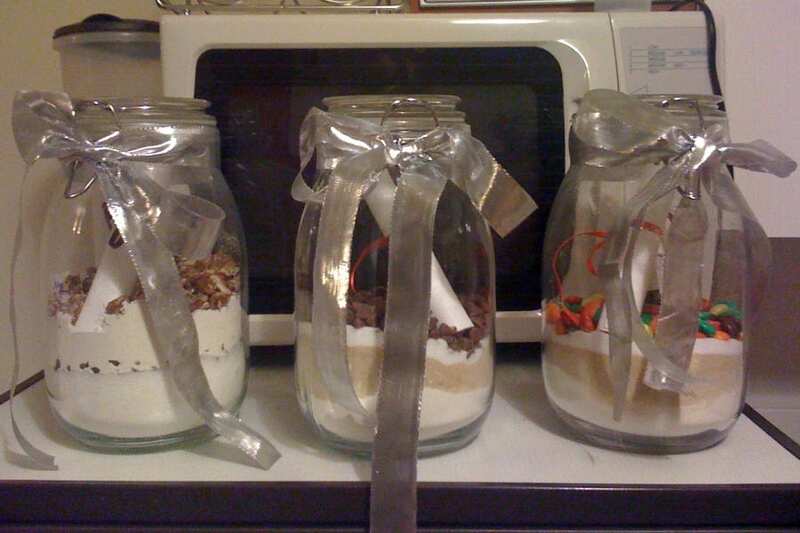 A few years ago, I made these cookie mixes in jars as an extra present for my four feet, but only just realised that I never shared the recipe or how to with you! Its a really simple recipe and can be amended (as you might be able to see in the photo) to have whatever in them – I used chocolate chips, walnuts and M&M’s in these ones. My jars were from Ikea, and were a bit too big, but I just ordered some from Tesco which are a much better size. This DIY is great because (obviously) you can tailor it specifically for the recipient (for allergies and intolerances) and you probably already have the basic ingredients, so its quite cheap!